Why is it that at a time when Mexican migration across the Southern U.S. border is historically low, public dialogue surrounding the Mexico-U.S. borderland continues to be divisive and heated? On this episode, Dr. Patrick Spero and Dr. Douglas Massey explore the history and paradoxes of the Mexico-U.S. borderland. They delve into the decades of research that Dr. Massey and colleagues have done for the Mexican Migration Project. Ultimately, they consider what, if any, policy decisions could and should be made to resolve the limbo of undocumented workers and the increasingly bombastic rhetoric around immigration issues in the United States. 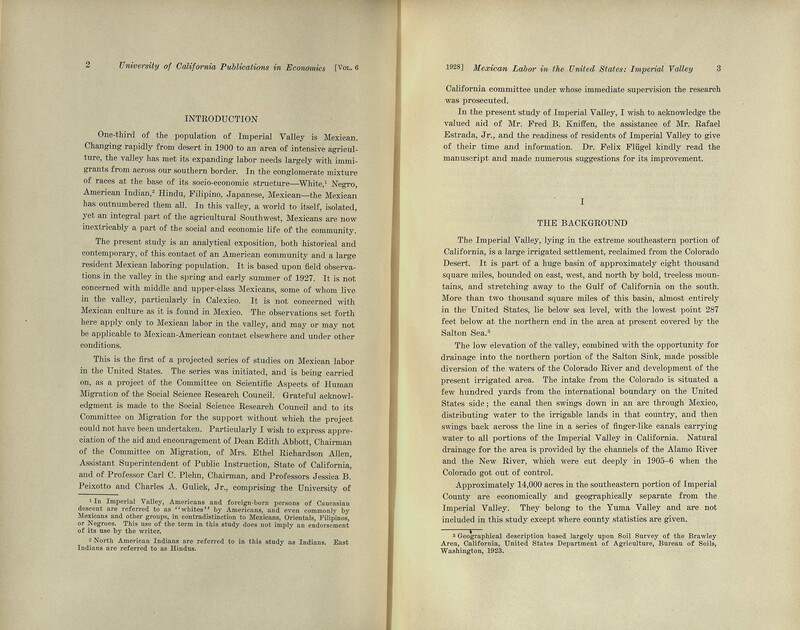 Douglas Massey, “The Mexico-U.S. Border in the American Imagination”, Proceedings of the American Philosophical Society, vol. 260 no. 2 (June 2016): 160-177. 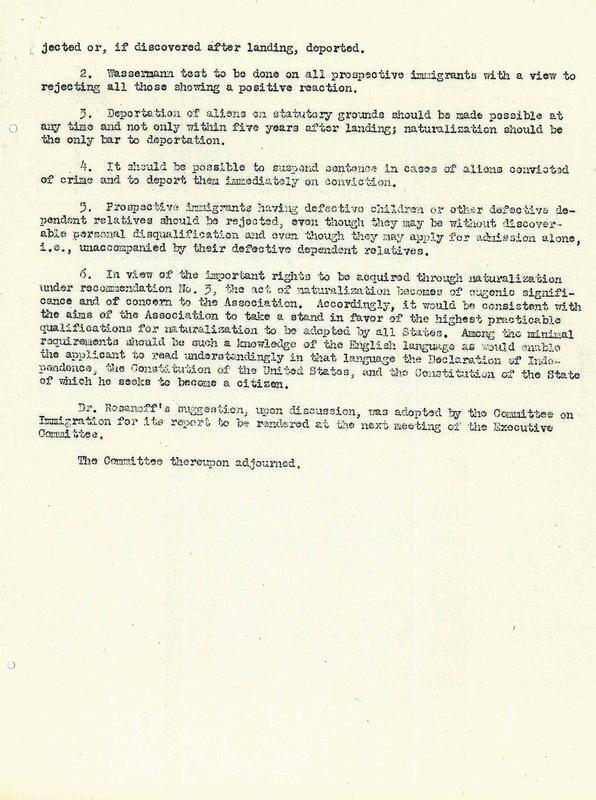 Douglas Massey, “Understanding America’s Immigration ‘Crisis’”, Proceedings of the American Philosophical Society, vol. 151 no. 3 (September 2007): 309-327. Record of indentures of individuals bound out as apprentices, servants, etc..., 1771 October 3 - 1773 October 5, APS Collections. 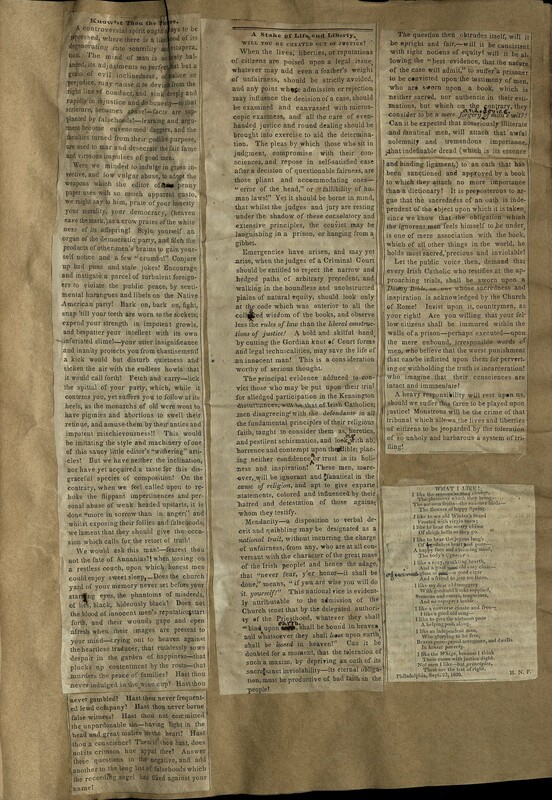 Potts, Howard N. Scrapbook of a vehement nativist, 1839-1905, APS Collections. Taylor, Paul Schuster. Mexican Labor in the United States. Berkeley, University of California Press, 1928. APS Collections. 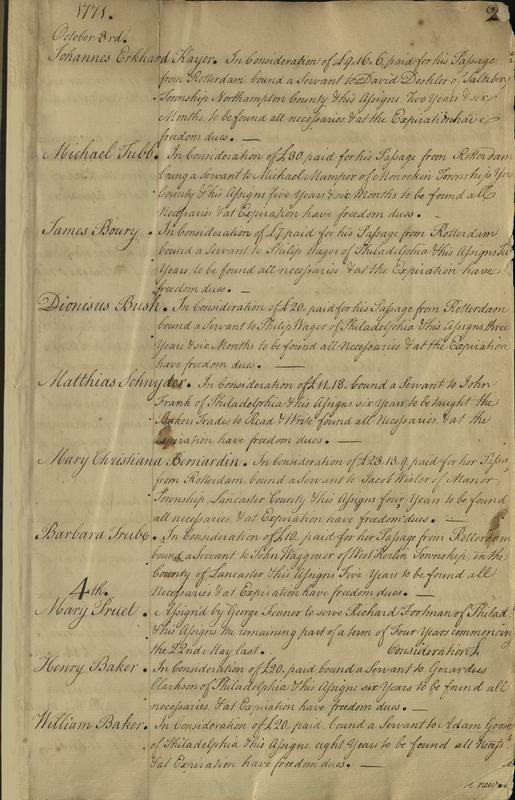 The APS stewards this unique volume containing the records of those contracted into indentured servitude in Philadelphia from 1771-1775. A majority of the indentured are German immigrants, though there are entries for Irish migrants and one free black man. In the 18th century, immigrants, primarily from Europe, used indentures or labor contracts to pay for their ocean passage. Many English immigrants signed on to fixed-term contracts before leaving England whereas German migrants often came as “redemptioners.” These migrants promised to pay the captain of the ship their fare upon arrival in Philadelphia. Once in America, they had thirty days to make payment by support from family in America or by signing a labor contract. This put them in an unfavorable bargaining position with potential employers and many were forced to take whatever was offered them. This scrapbook belonged to Howard Newcomb Potts (1819-1906), a Philadelphia attorney and a vocal nativist and advocate for the Native American Party, the predecessor to the Know-Nothing Party, popular in Philadelphia during this period. The nativist movement, primarily anti-Catholic and anti-immigrant, led to violent riots in the 1840s, most notably the Philadelphia riots of 1844, in which mobs of nativists attacked Catholic churches. The article titled "A Stake of Life and Liberty," states that "Mendacity ... may be designated as a national trait .. of the Irish people." 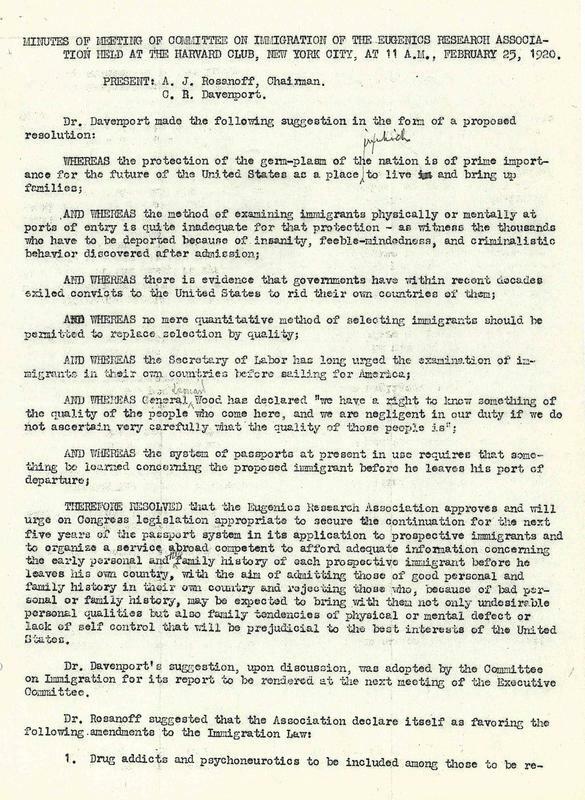 "The enormous influx of foreigners into the United States during the past twenty years ... has been productive of evils which call urgently for some restrictive measures to check such a deluge of immigrants..."
The Charles B. Davenport Papers held at the APS, contain the professional correspondence of one of America’s best known eugenicists during the period 1915-1935. 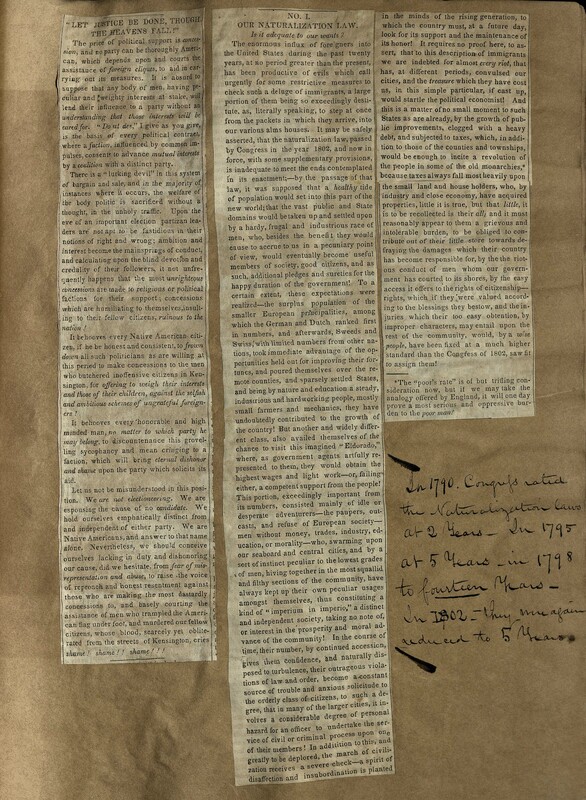 Documenting all phases of Davenport’s life and career, the collection is an invaluable resource for the study of the history of the eugenics movement in America. 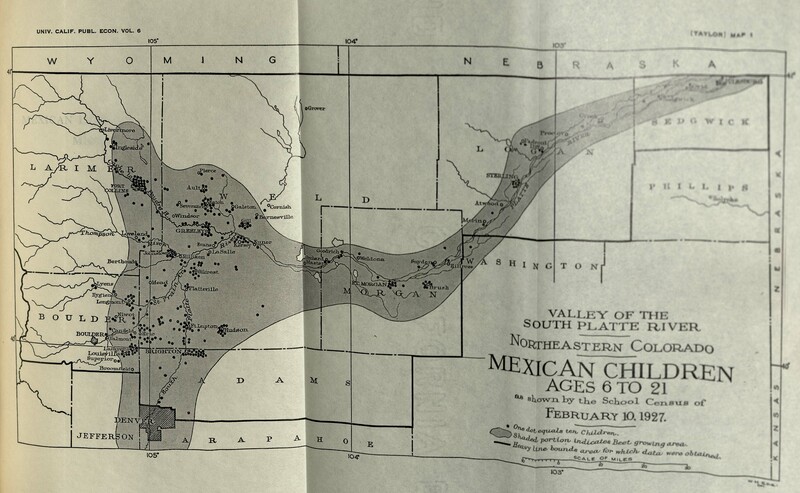 One of the first academic studies of Mexican migration in the early 20th century, Paul Taylor's Mexican Labor in the United States (1928) was based on field research on the first generation of Mexican migrant labor in California, Texas, Colorado, Pennsylvania, and Illinois. Before Taylor’s study, Mexican migration had largely been ignored by the scholarly community or was colored by prejudice.